We round up the summer highlights from Monky London’s popular YouTube channel. With so many quality videos to pick from it’s a tough job deciding what to showcase in this feature. We decided to pick four videos that should get you up to speed with Monky’s summer. Monky traded up his 1.5JZ powered Toyota JZX-90 for a stunning looking D1 Street Legal Nissan Silvia. This very special S15 was prepared by RYO tuning shop in Japan. Monky hits the Rockingham Raceway with his D1SL S15 and enjoys some wild tandem drifts. This video contains high quality exhaust sounds and turbo sounds of the Mazda RX7 Rotary 13b, Nissan Silvia S15 Rocket Bunny SR20DET, Subaru WRX EJ20 & Honda Integra DC5 Turbo. Heading out to Japwestmods Monky checks out this seriously clean Nissan Silvia S15 drift build. If you haven’t subscribed to Monky London’s YouTube channel yet then you are in for a treat. With over 100k subscribers and counting this popular channel offers plenty of quality content for the drift enthusiast. The Drift Diaries series gives an insiders view of Monky’s drifting journey. Join him as he visits the best drift tracks up and down the length of the UK. These videos chronicle the highs and lows of drifting from epic drift trains to blown engines. The Friends Drift Cars series gives us unprecedented access to some of the wildest drift builds in the UK, from the point of view of the drivers seat. 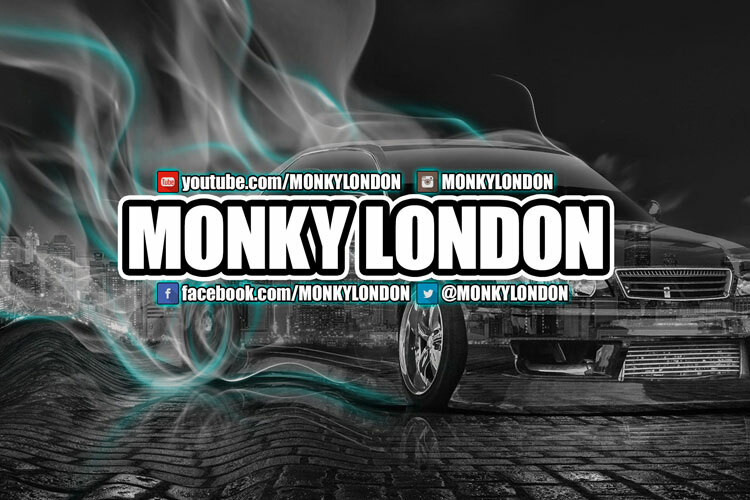 We love Monky London’s channel here at Drifted HQ so make sure you get over there and subscribe so that you don’t miss out on his latest videos.